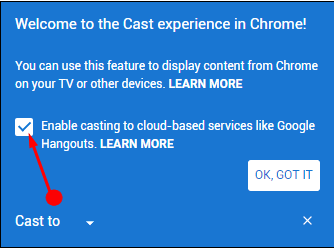 In case one is tired of the HDMI cables for sharing the screen with the television and bored of seeing the number of wires in and around, it is now possible to stop it with the help of an application Chromecast. To keep it simple Chromecast is a dongle that permits to stream games, movies and much more from laptop or mobile as soon as you put it to HDMI port of the television. As soon as the connection is established in the right way, it will allow playing all the media to the television.